This gorgeous and serene Fish Cannery (those are words not often heard) by Nathan shows off some great techniques and a good sense of artistic style. 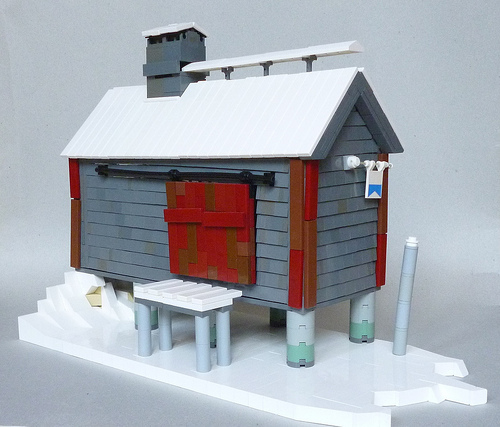 The color palette Nathan’s used is perfect to create the sense of calm, cold silence in this building based off architecture in the easternmost town in the United States. Not as simple as it would appear at first glance. I really like how the builder uses subtle color variances and clever building techiques to create that perfect weathered look. Very nice indeed!